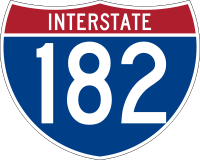 On Friday, May 25, 2012, I drove the length of Washington State Route 182, also known as Interstate 182 even though it's entirely intrastate. 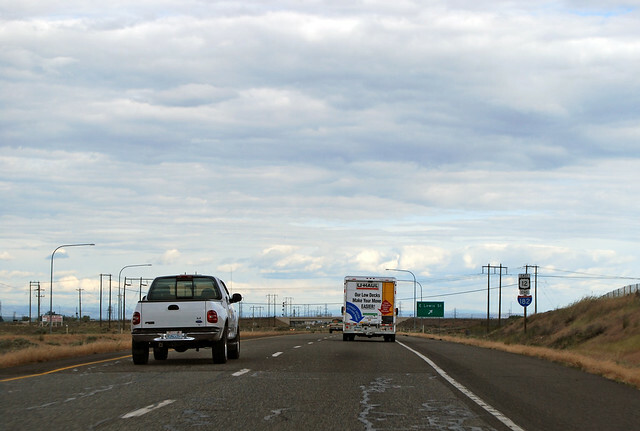 Beginning at a junction with state route number 82 in the vicinity of Goose Gap, thence easterly via Richland to a junction with state route number 395 in the vicinity of Pasco. On the road again... 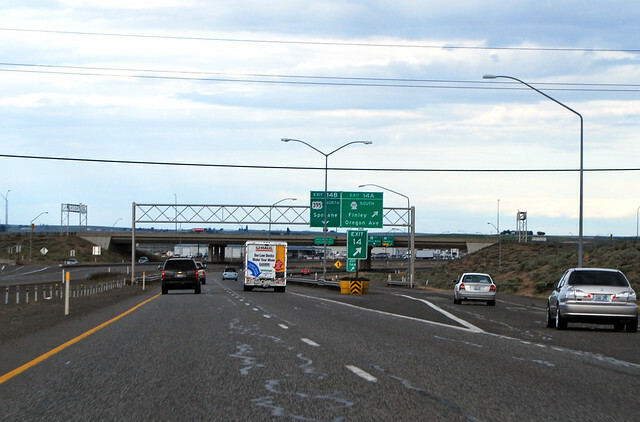 So here at the gap between Candy Mountain and Badger Mountain, known as Goose Gap, I-182 begins, crossing under I-82. Tri-Cities, here we come. Down the hill we roll. 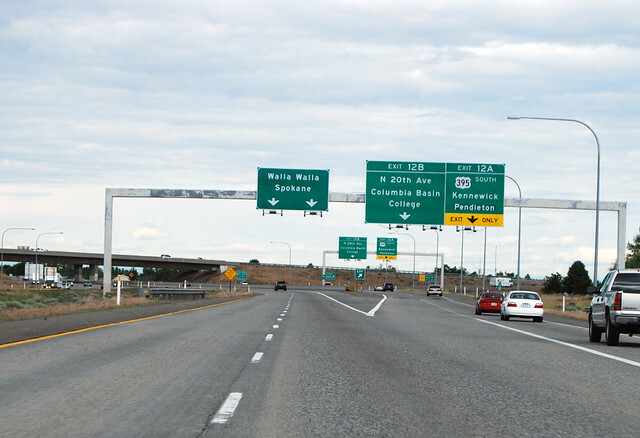 Shortly after crossing the Yakima River, we enter Richland and have an interchange with the westward portion of SR 240, which heads north. Do you want to go to Hanford? A mile later, SR 240 leaves us eastward to the southeast. Up over the wide Columbia River on a graceful concrete bridge, we cross into Pasco. You don't see much of the city but dry farmland, however. 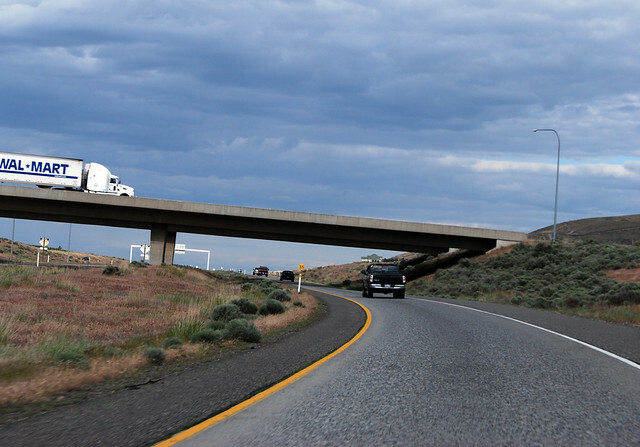 Before too long, we reach a junction with US 395, southward only, which will take you more into town... and back to I-82. After two miles as I-182, US 12, and US 395 (Didn't I mention I-182 is US Route 12 for its entire length? 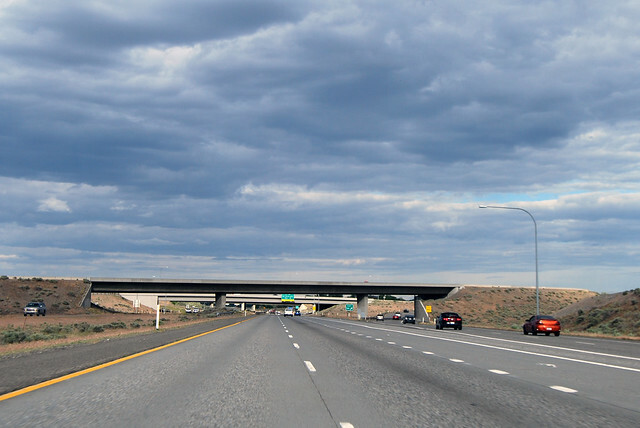 ), I-182 says goodbye to US 395. 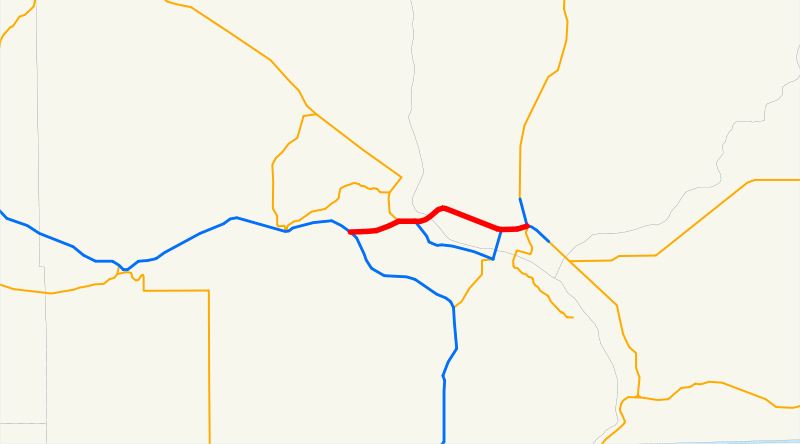 The southward branch of this interchange is SR 397, which will take you into the heart of old Pasco down by the railroads. 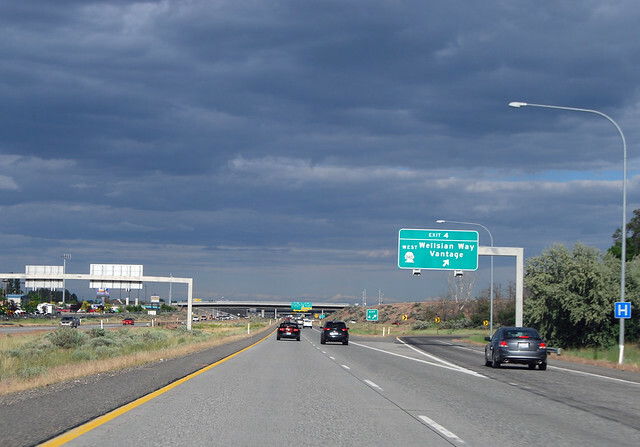 For being the primary freeway through the Tri-Cities, I-182 doesn't seem to see much of any of the cities. 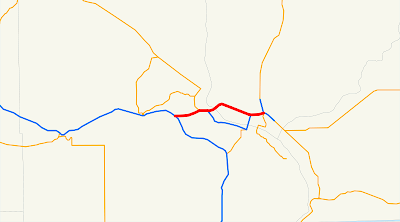 It skirts south of Richland and north of Pasco and doesn't visit Kennewick at all. With all the connectors, however, it certainly will get you where you need to go. Traffic keeps on rolling rolling rolling.